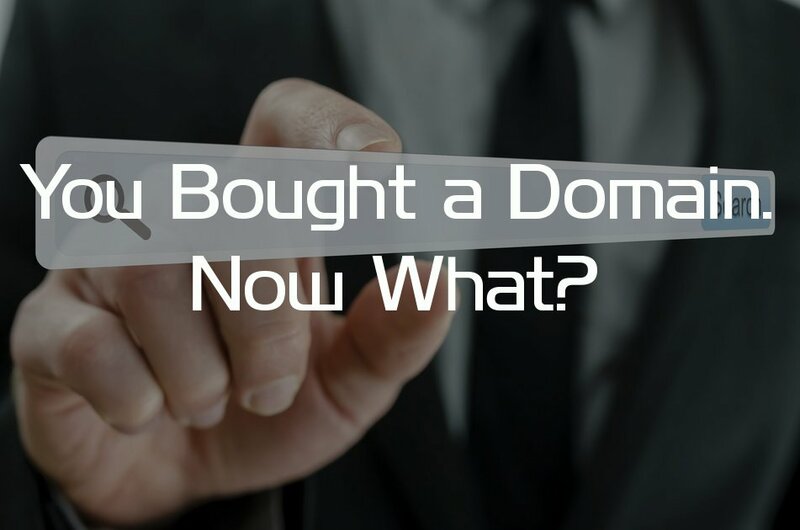 You Bought a Domain, Now What? The first step with a website is the purchasing of a domain. If you have a credit card and a computer connected to the internet, then you should be able to purchase that domain you have always wanted. Great, you bought your domain!!! The next step is extremely important, CHECK YOUR EMAIL! While this sounds strange, ICANN (Internet Corporation of Assigned Names and Numbers) recently updated their WHOIS policy. Before, you could purchase a domain and that was it. You could modify the contact information and no recourse would come of it. Now, ICANN allows you only 15 days to respond to an email sent to the registered email account on that domain. If you do not click the approval link, then your domain becomes suspended. You can read all about it here. Domain suspension essentially means your domain is locked, and no one can pull up your website. This can happen to anyone no matter what the business is. Even if you have own the domain for 10 years, if you decide to update the contact information (not just your email address!) then it will send a verification email and the timer starts. Now, if you purchased 100s of domains and do not know what email address is associated with it, and then you are still OK. ICANN only cares when the information is updated/changed. One small piece of advice when you do buy that domain, use an email address that is not associated with that domain. You don’t want to lock out your domain and inadvertently do the same to the email address, especially if you can’t remember the password to your domain manager!! !